Violin Maker's Wife - Two Identical Violins? 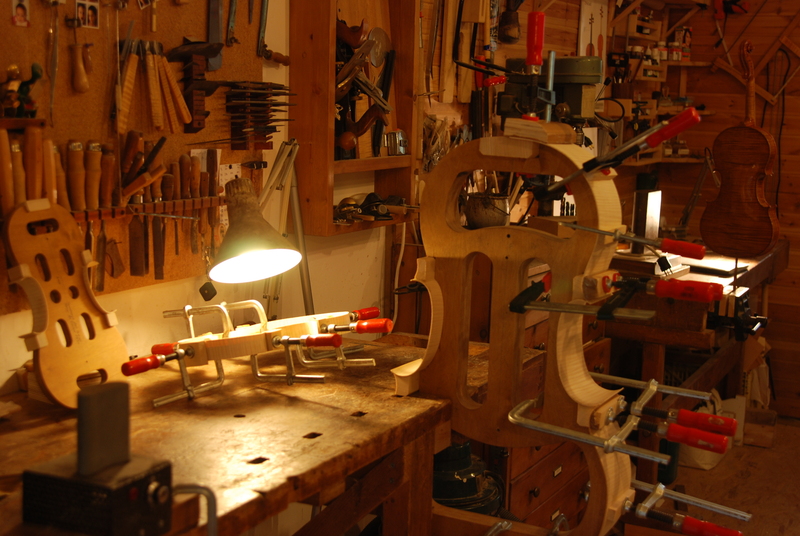 The first step in building a new stringed instrument is to decide which model to use. I have to admit that to my unprofessional eye, the various models seem very similar – they all look like… well… a violin. Why is this interesting to me? Because here Yonatan had quite a unique opportunity – he could build two exactly identical violins. 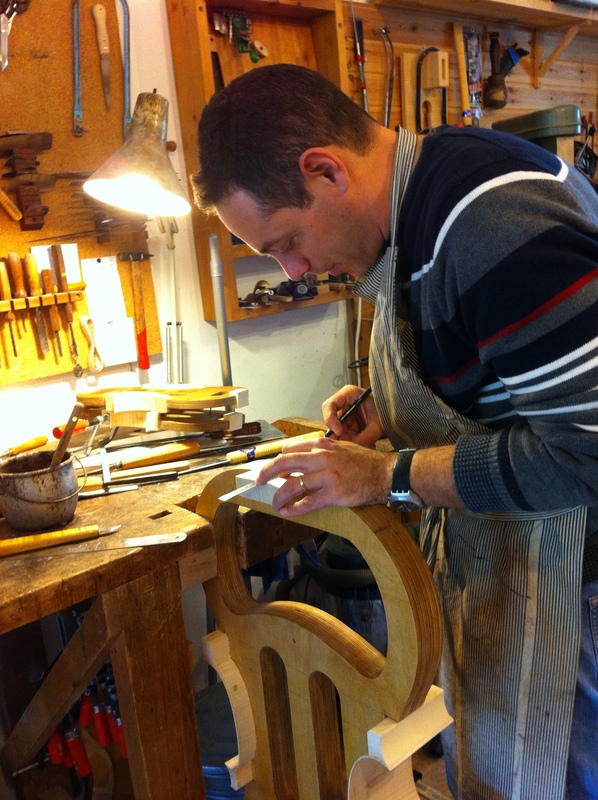 After all, how often does a violin maker get to use pieces of the same tree-trunk, which have aged together, and are being worked on simultaneously, by the same builder, in the same season of the year…. You see, there is an almost infinite number of variables that come into play in a hand-made violin, and thus in its characteristics and sound. It is always very hard to isolate these different variables. Here, however, there was an almost scientific opportunity to create two identical instruments, changing only a single variable (e.g. the thickness of the sounding board). This appealed to my scientific upbringing – both my parents were teachers of biology and chemistry – and I thought it would be a really cool experiment. 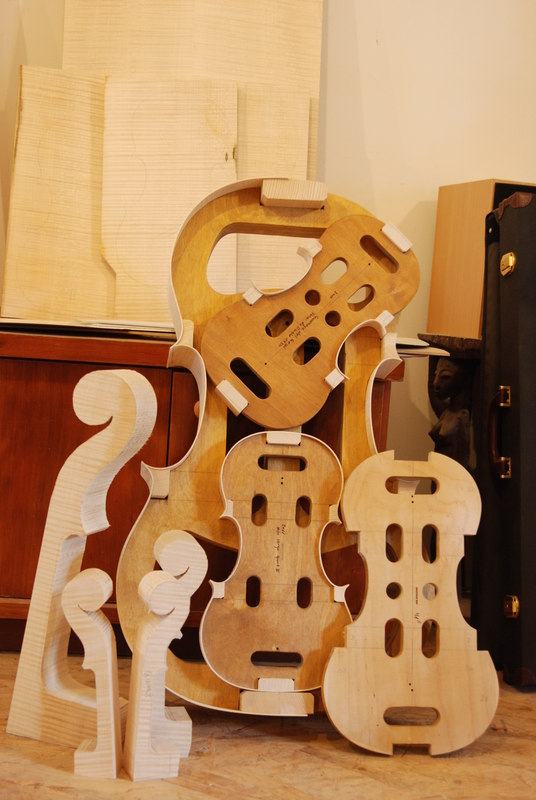 So this week, the deed is done – models for all four quartet instruments have been picked, drawn, cut and prepared, the “corner blocks” (“zocchetti“) have been glued and now the ribs (“fasce“) are being bent to create the “C” (the instruments’ so-called “waist”). Wow, I almost sound like I know what I’m talking about! Below you can see a few pictures from the very first steps of building the quartet. What Yonatan is doing is really building all four instruments simultaneously, so that each step is repeated four times before the next step is taken. Look at Laurie's recent interview with Anne Akiko Meyers. Anne is planning to record herself playing both parts of the Bach Double, using one Strad for each voice. One of them she characterized as more masculine and one as more feminine. She said (in effect) that Heifetz's recording of himself playing the Double with the same violin for each voice was boring.